SVT has received this year a over 2,200 candidate songs. 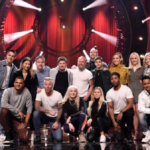 After evaluating this big number of entries the broadcaster concluded in the final 28 which will be competing in the four semi-final shows between 2 and 23 February. 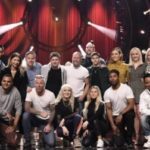 The names of the 28 participants come after the SVT’s announcement of the hosts who will be presenting us the six shows of the forthcoming Melodifestivalen. 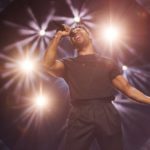 Marika Carlsson, Eric Saade, Kodjo Akolor and Sarah Dawn Finer will be flying around Sweden to all cities hosting the Melodifestivalen shows. Martin Stenmarck, represented Sweden in 2005 with the song Las Vegas. This year his returning for his fourth Melodifestivalen participation , as he had competed in 2014 and 2016 with the songs When the angels go home and You take me back respectively. Wiktoria, had participated in Melodifestivalen 2016 with the entry Save me when she came 4th and in 2017 with the song As I lay me down finishing 6th. The 22 year old act is coming back for her third attempt to win the golden ticket that leads to the Eurovision stage. Jan Malmsjö, his name was brought up in reports and speculations as potential contestant for this year’s contest and here he is! The 86-year-old Melodifestivalen past participant comes back 50 years after finishing as runner-up at Melodifestivalen 1969, with the song Hello clown.